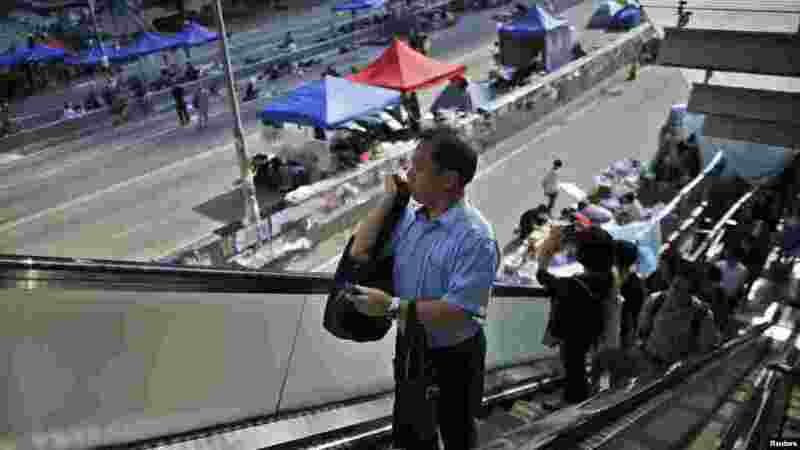 1 Government employees arrive to work as they walk along an area occupied by protesters outside of the government headquarters building in Hong Kong, Oct. 6, 2014. 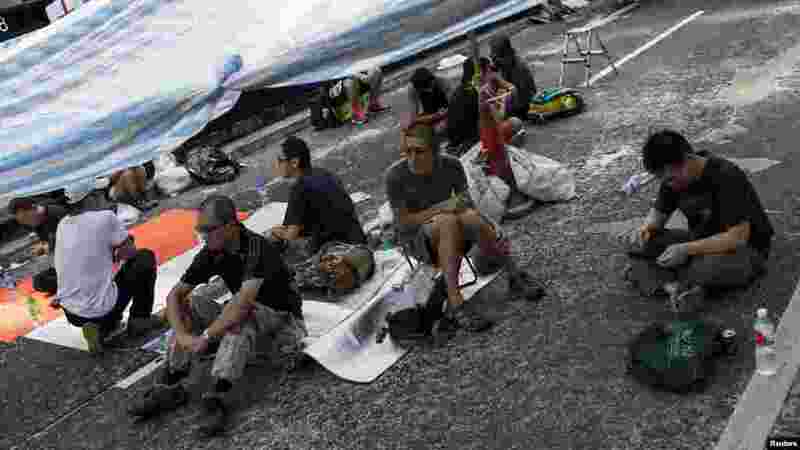 2 Protesters of the Occupy Central movement rest under a tent on a main road at the Mong Kok shopping district in Hong Kong, October 6, 2014. 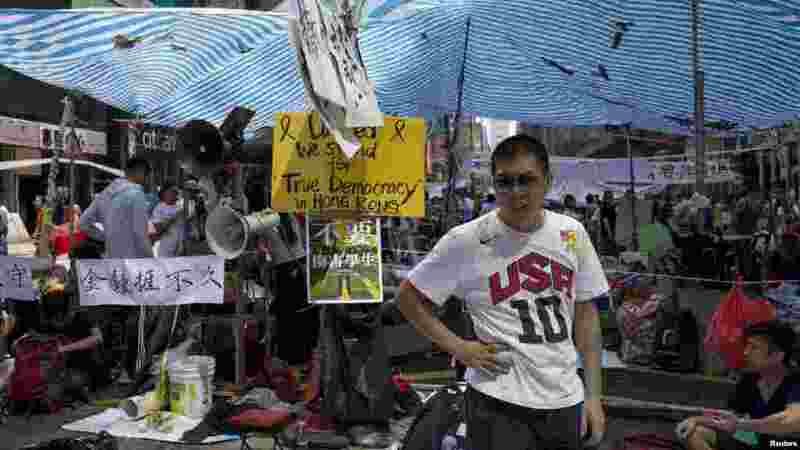 3 An Occupy Central movement protester stands guard on a main road at the Mong Kok shopping district in Hong Kong, Oct. 6, 2014. 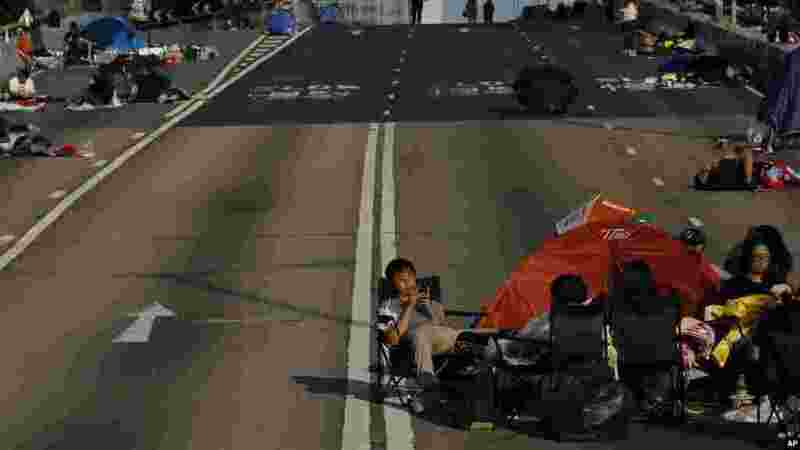 4 Pro-democracy student protesters sit on a roadside in the occupied areas surrounding the government complex in Hong Kong, Oct. 6, 2014.